Indiana County (pop. 88,880) is south of Jefferson County. It’s the only Indiana County in the U.S.
Indiana County is known as “The Christmas Tree Capital of the World,” because of the many Christmas trees grown there. The National Christmas Tree Association was founded there, in 1957. 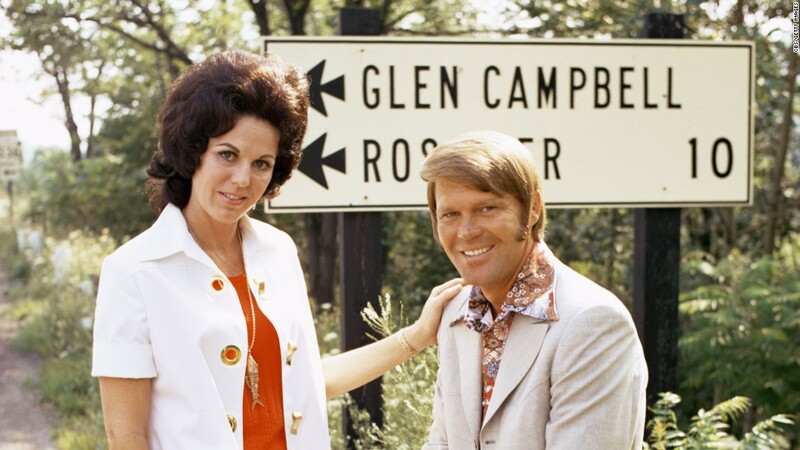 The singer visited in 1971. The county seat of Indiana County is the borough of Indiana (pop. 13,975). 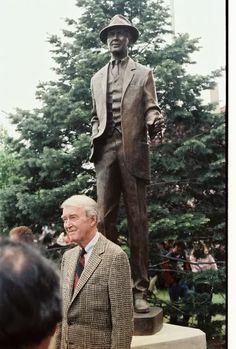 Actor James Stewart (1908-1997) was born in Indiana. His parents owned a hardware store in town. 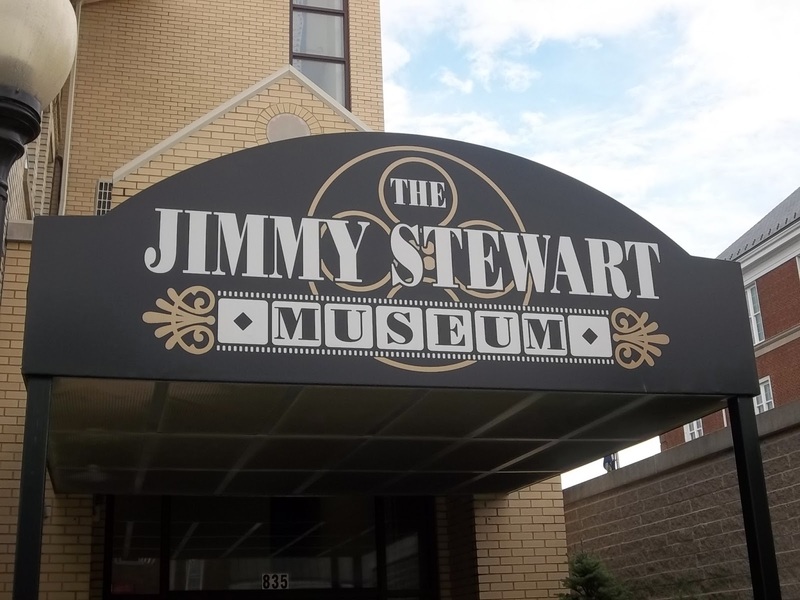 The Jimmy Stewart Museum is on the third floor of the Indiana County Community Building. Opera singer Renee Fleming was born in Indiana but grew up in Rochester, N.Y. 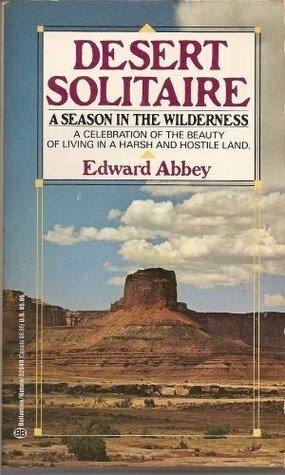 Author Edward Abbey (1927-1989) was born in Indiana and went to high school there. Indiana University of Pennsylvania is a public research university with about 13,000 students. 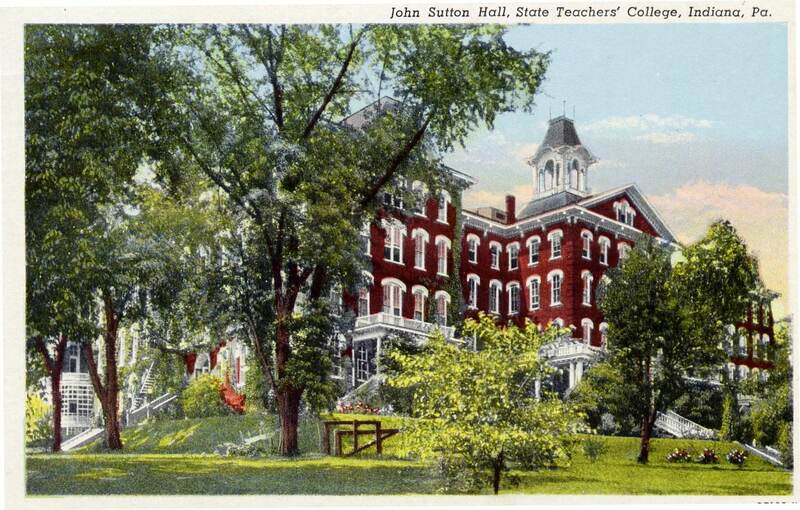 It opened in 1875 as Indiana Normal School. 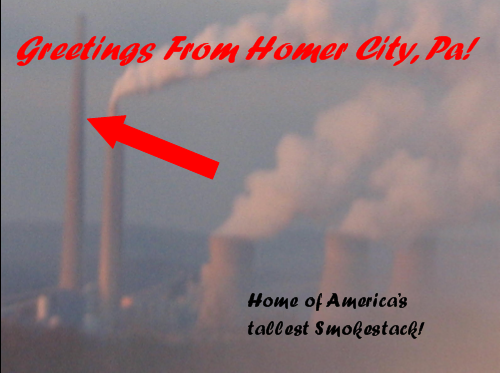 In the community of Homer City, south of Indiana, the coal-burning Homer City Generating Station has the tallest smokestack in the U.S., at 1,217 feet. The smokestack is no longer in use. 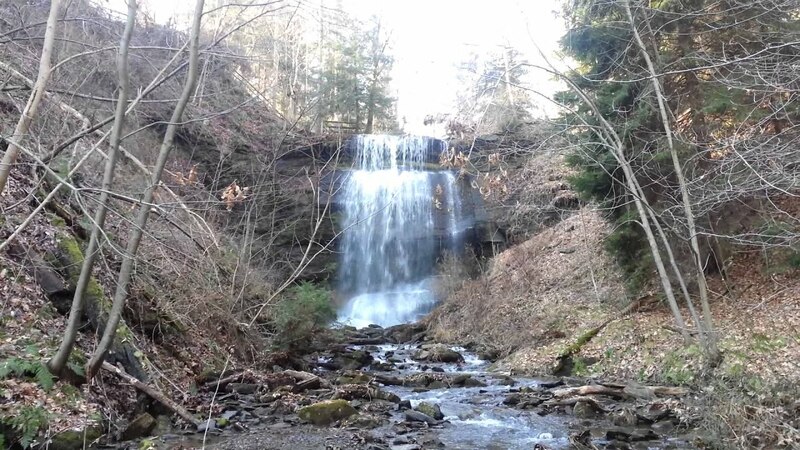 Buttermilk Falls, 46 feet high, is one of the highest waterfalls in Pennsylvania. From 1931 to 1956, the waterfall site was owned by Fred McFeely, grandfather of Fred Rogers of “Mr. Rogers’ Neighborhood” fame. Commodore (pop. 331) was founded in 1919 by the Clearfield Bituminous Coal, a subsidiary of the New York Central Railroad, as a model company town, with better facilities than most company towns. It was named for Commodore Cornelius Vanderbilt. The Ghost Town Trail is a 36-mile rail trail along the right-of-way of the former Ebensburg and Black Lick Railroad. The trail passes through several abandoned coal-mining towns. This entry was posted in Pennsylvania and tagged Buttermile Falls, Edward Abbey, Glen Campbell, Homer City, Indiana County, James Stewart, Renee Fleming.